Inspiring you to live an all natural & non-toxic lifestyle. Hey everyone! I don't know about you, but I love a good smelling candle, body wash, laundry soap and a good smelling home in general! 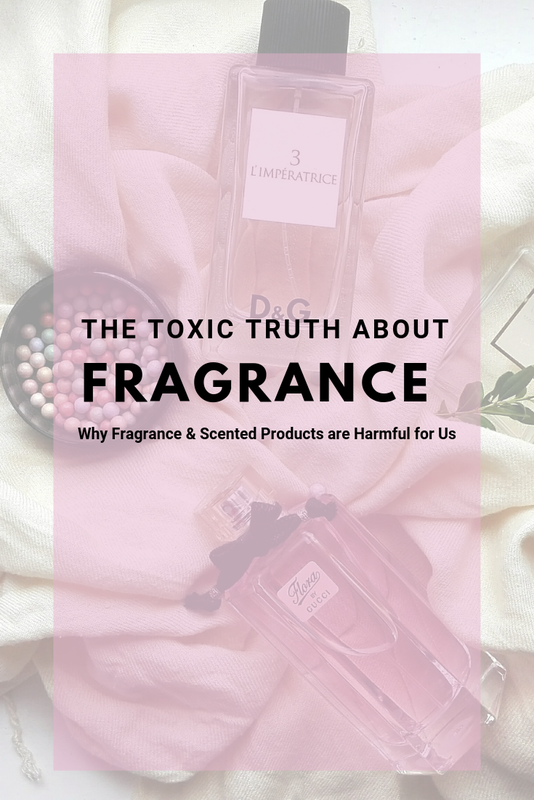 A few months ago though I realized that the conventional scented products in my home were actually very toxic to me and those around me, So today I want to share what I've recently learned about synthetic fragrance and what we as consumers can do about it! So What is Synthetic Fragrance and is it Really that Bad? Synthetic Fragrance is a blanket term used to describe the chemicals used to scent our products and companies aren't legally required to disclosure each chemical used to add smell. So when you see the word " fragrance" or "parfum" on any of your products that actually could be one or several of the 3,000 chemicals used as ingredients (2- see references below). One of the main problems with this is "More than 95 percent of the chemicals in synthetic fragrances are derived from petrochemicals. These chemicals include: benzene derivatives, aldehydes, phthalates, and a slew of other known toxins that are capable of causing cancer, birth defects, nervous-system disorders and allergies—some of which are cited on the EPA’s hazardous waste list."(1). These are some scary facts! It gets even scarier with one study showing how many issues people had when using synthetic fragrance, Check it out! "Overall, 34 percent of the population reported one or more types of adverse health effects from exposure to fragranced products. The most common symptoms were: 18 percent respiratory problems; 16 percent mucosal symptoms; 15 percent migraine headaches; 10 percent skin problems; 8 percent asthma attacks; 7 percent neurological problems; 5 percent cognitive problems; 5 percent gastrointestinal problems; 4 percent cardiovascular problems; 4 percent immune system problems; 3 percent musculoskeletal problems; and 1 percent “other.” (2). How Do I Know if my Products have Fragrance or are Safe in General? Alright natural babes, this is where we make it really easy and practical! I've got two easy methods to identify these chemicals! The first one is to simply read your product's ingredients the two words to avoid are "fragrance" and "parfum" now if you see something with the term "natural fragrance" that is a little better and has more regulation; but the best two options would be for the ingredients to say "essential oils" or to be fragrance free all together ("unscented" is not the same it still often has fragrance in it). The second tip is to use some type of app that can break down the ingredients for you in simple terms! It's 2017 people, the app store is making it easy for us! I love using the app called Think Dirty it's free and you can either scan the product bar code or you can search the product! This app will break it down and give the product a safety rating (0 being best 10 being worst), here's some screenshots of how to use it! Why are Companies Using These Chemicals and Can WE Do Anything? For companies synthetic fragrances are often cheaper and easier to use but with these chemicals being so harmful we've got to put an end to this! I've included a petition you can sign and a tweet you can send to your state's representative both are asking that it become a legal requirement for companies to disclosure the chemicals that are used in the blanket terms "fragrance" and "parfum" and to disclosure the chemicals used in general. Check them out and sign them/fill them out if this is something you want to see happen! Another way to combat this, is to stop using synthetic fragrances in your home. I know for a lot of people it can be overwhelming almost everything in there home has synthetic fragrance. It wouldn't be fiscally smart to just throw it all out and start from scratch; If you're able to do this I definitely recommend it, but honestly when I first was getting started I didn't do this. I used up what I already had and vowed to never buy those products again. 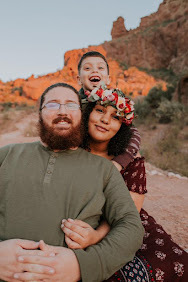 I found budget friendly all natural alternatives and I've linked some below for you, feel free to check out my shop tab for a whole list of all the natural items we use in our home! Thank you so much for tuning in for today's blog! Please share with your friends and family! (1) Anderson, Ava. "Five " Must Know" on the Dangers of Synthetic Fragrance." Huffington post. N.p., 6 Feb. 2014. Web. 25 June 2017. <http://www.mariasfarmcountrykitchen.com/five-must-knows-on-the-dangers-of-synthetic-fragrance/>. (2) "Dangers of Synthetic Scents ." Dr. Axe . N.p., n.d. Web. 25 June 2017. Join my mailing list below for exlcusive FREE printables, tips and blog post updates! Look for @thenaturalbabeblog on Instagram & Facebook! Hi My Name is Sam and here on The Natural Babe Blog you'll find tips on how to live a natural life, money saving hacks, DIYS, vegan recipes and so much more! So please stick around and follow me along on my journey towards health and happiness. Inexpensive & Natural Swaps- Laundry Products | Swap it Out Series #1! Natural DIY All Purpose Cleaner | One Product to Clean the Whole House?! © The Natural Babe Blog | All rights reserved.